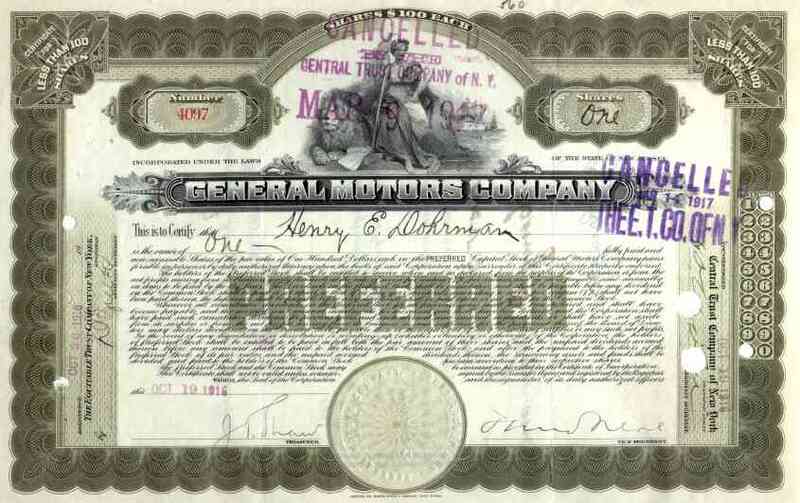 1916 General Motors Stock Certificate. Founded in 1908, General Motors consisted of Olds Buick and Cadillac at the time this old, classic certificate was issued. Vignette of lion and woman is stamped cancelled on many of these certificates. Otherwise VF condition. Scarce automobile scripophily document.